Sie sparen $11.00 indem Sie diese Option jetzt wählen. 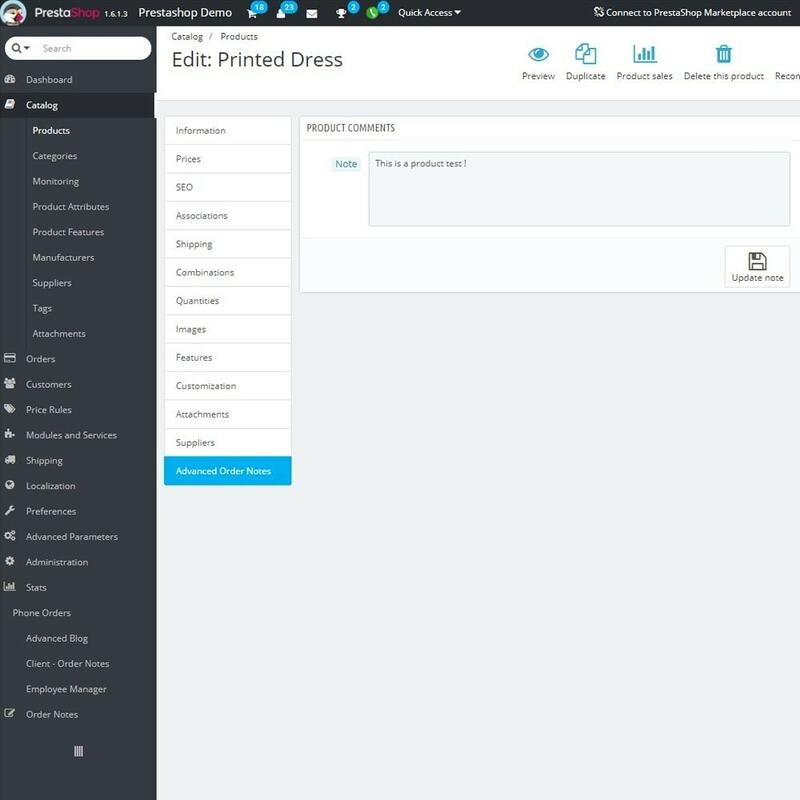 Allows your employees to leave notes in the admin panel for every order and client. Allows your employees to save feedback about a certain customer. Groups the clients by customer phone number, order id or customer email if they place multiple orders without an account. Allows you to select the position where the panel appear in the admin order page. Allow your customers to download beautiful looking PDF Quotations of their shopping carts with one simple click or email or save a quote for a later purchase. Knowing your customer's full archive will allow you to offer better products based on their needs. 3b. The option “Phone” will allow you to manually add individual notes to all orders, the difference is, that you will see all previous notes in every order that based on the phone number of the order client. 3c. 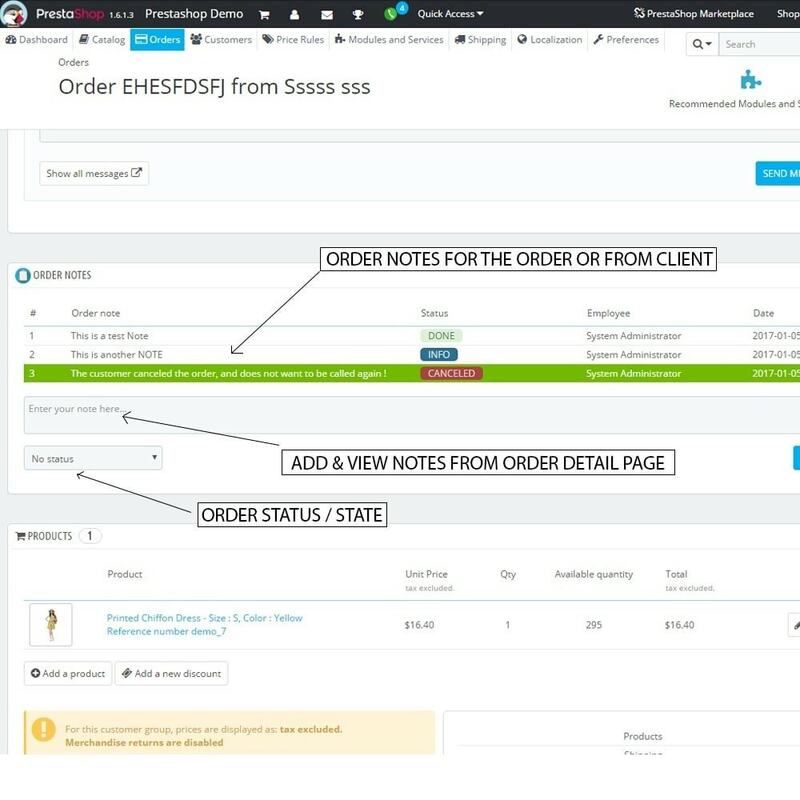 The option “Email” will allow you to manually add individual notes to all orders, the difference is, that you will see all previous notes in every order that based on the email of the order client. 4. Go to “Orders”, open any order, scroll down a bit and you will the a new tab called “Order notes”, here you will be able to add a new note to the order. 5. In order to see or search the notes based on customer name, email, id order or phone number, in the main navigation menu, you will find a new menu tab called “Order Notes” and you will have a complete list with all the notes. 8. Select the position where you want the panel to appear in the admin order page,or leave it default. Compress JPG and PNG images in your store with SmushIt, make your shop load faster, save space and rank better in google. 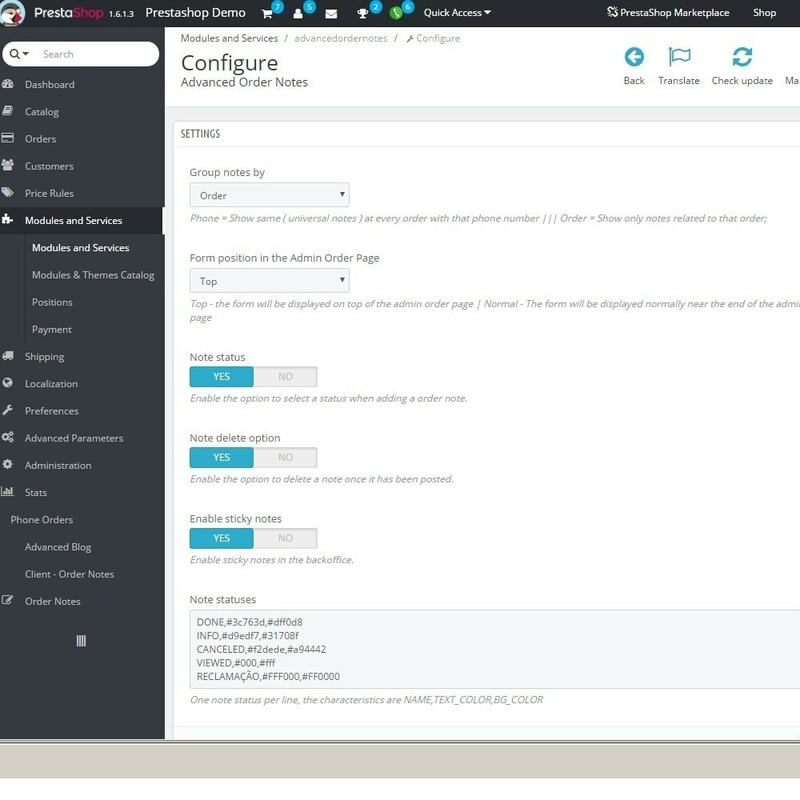 You can setup CRON job to automatically compress your product images. Create fields, Segment your clients and orders, create reports, see statistics and start optimizing. Create unlimited number of custom fields to help you segment better.